Qwillia Rain: Prepare Yourself! The Romancing The Hop Blog Hop Starts Friday! Prepare Yourself! The Romancing The Hop Blog Hop Starts Friday! Friday, August 31st it begins!! 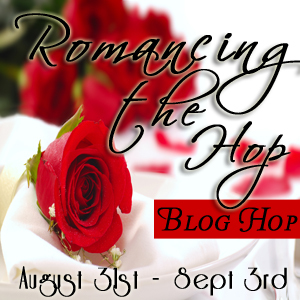 Prepare yourself for the Romancing the Hop Blog Hop! What is your favorite thing about Romance? Well, we authors are ready to share our romantic tips and favorite romance reads! Starting on Friday and ending on August 31st, over 100 Authors and Bloggers will share their favorite things about romance, reading romance, and dating. Yep. ALL of that! Whoot! Be sure to come back here on Friday and over the weekend to enjoy some stories and facts about our favorite Romance events and reads and enter to win! I love to read romance books because it takes me away from my boring life...LOL I had quit reading because of eye problems, but my daughter turned me on to Kindle and I enjoy it again...Now I am saving to buy my grand daughter one for Christmas!